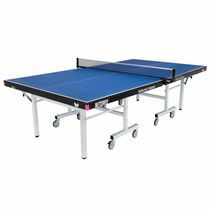 The Stiga Elite Roller CCS Indoor table tennis table features a sturdy and very durable construction which makes it perfect for schools, youth clubs and institutions. It offers an anti-glare 25mm fibreboard playing surface and comes with a height adjustable, detachable net. The table provides hassle-free storage thanks to a Compact Storage System and has playback facility to allow for individual training. This stable, 109kg (240.3lbs) table ensures convenient transport with 8 hard-wearing wheels and guarantees a secure placement during play or storage due to a safety-locking system. 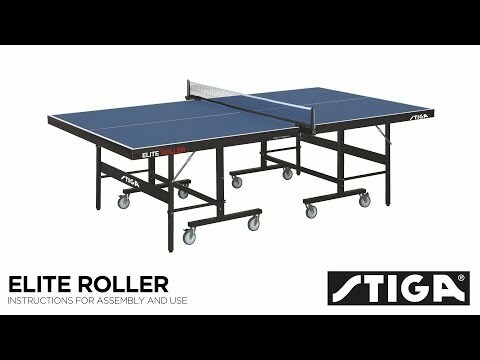 for submitting product information about Stiga Elite Roller CCS Indoor Table Tennis Table We aim to answer all questions within 2-3 days. for submitting product information about Stiga Elite Roller CCS Indoor Table Tennis Table. We aim to answer all questions within 2-3 days. If you provided your name and email address, we will email you as soon as the answer is published. 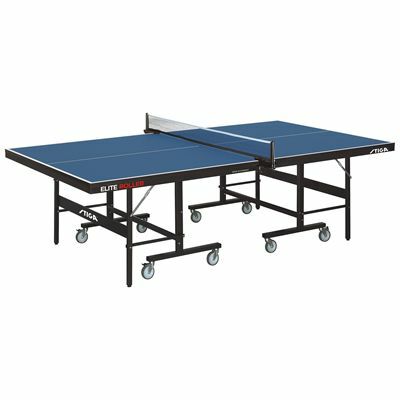 for submitting product review about Stiga Elite Roller CCS Indoor Table Tennis Table.